San Francisco is an exciting dining destination with a blend of cultures and cuisines. Whether you're craving a neighborhood café, an Italian kitchen, a sushi bar, or romantic downtown eatery, you'll find fantastic San Francisco restaurants where you can indulge in foods from every corner of the world. 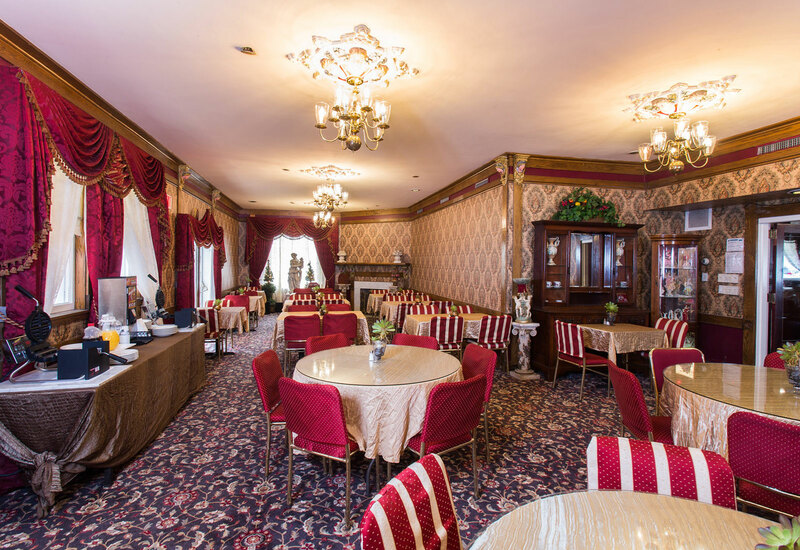 Start your day with our deluxe continental breakfast in our charming Victorian detailed Salon. After you explore the City, make your way to one of the marvelous restaurants in Pacific Heights, Japan Town, Soma, The Mission District, Financial District, Wharf Area, or beyond. This San Francisco restaurant is a local favorite, serving amazing Thai cuisine in a delightful atmosphere. Try the Chef Pai's BBQ Chicken. This wonderful neighborhood restaurant is an addiction and one the best places in SF for breakfast, brunch, and lunch. Enjoy simple food in a relaxing atmosphere. Traditional & Authentic Italian Eatery. Located in the heart of the Fillmore district, this Pacific Heights restaurant features artisan pizzas and delicious Italian cuisine. This family restaurant in San Francisco serves amazing Vietnamese food in a gorgeous environment with a cool bar. Indulge in their famous garlic noodles and crab, Buddha and Shrimp Rolls and papaya salad. If you love sushi, this tiny restaurant is a true local favorite. You'll want to make reservations in advance. The chef's Omekase set is a rare delight.